Anthony Johnson, who has been accused many times of beating women, but who was allowed to fight for the world title and then keep his career with another fight coming up, threatened to beat a woman. Because of a yoga mat. 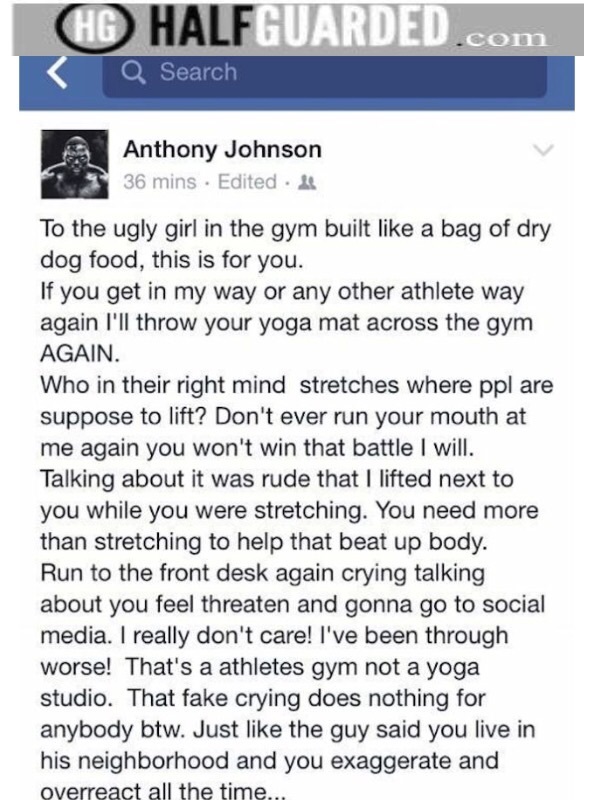 What’s even better is this was rant was on the Anthony Johnson Facebook page he regularly uses. It wasn’t someone reporting it. He was proud to let the world know that a yoga mat upset him and that he was prepared to likely eat the woman as revenge. Because he’s a fat loser. Yeah. He’s a balanced human being alright.